My Big TOE (Theory Of Everything) is a trilogy of books written by Tom Campbell - basically a theory of consciousness - and is designed to present ideas leading to a Big Picture understanding and paradigm shift by answering many of the unanswered questions existing in science today. 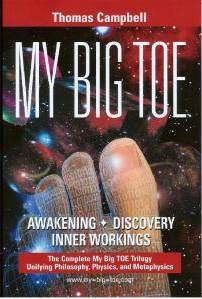 My Big TOE is conceived as a work of science, consistent with scientific principles of discovery and exploration of new knowledge, but presented at a level fully accessible to the general reader and without requiring mathematical and specialist based understanding of science. Tom's book can be purchased at any bookstore - if you want you can even read it online and for free at Google Books. Further information on Tom's book is available at this link. 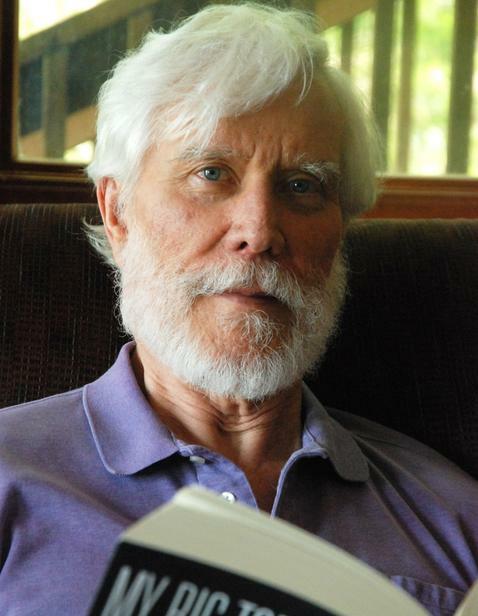 Tom Campbell has done lectures and workshops for about 10 years in order to introduce people to his theory. Additionally interviews with Tom are published on a regular basis. Several of these videos have been sorted into categories and are available at this link. Tom conducts a limited amount of workshops each year during which he introduces the participants to his theory, does practical exercises and allows the audience to ask him questions for several hours. More information on upcoming workshops can be found at this link. 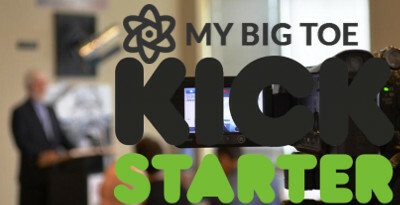 Tom Campbell and his team have been running a Kickstarter campaign from May 14 until June 13 2018. A total of 236.590 US-Dollar have been collected and these funds will be used to finance a team of scientists which will perform Tom's proposed physics experiments and to produce a documentary about it.